We are doing it again! Spunky. Adorable. Heartwarming. The agent round will be Wednesday, April 4th - 6th. The submission day is Tuesday, March 27th at 4:00 pm Eastern time. We're trying something new this year. The window will stay open at least one hour. That way no one has to rush. Then Sharon and I will go through the entries and pick our favorites. I'm not sure how many entries will be chosen, but the number will be around 20. Sharon is my expert on this as I know less about picture books. On March 27 at 4:00 pm Eastern the submission window opens. Do not send early or your entry will be deleted. You may resend at the correct time if this happens. I'm recycling an email address as I already have too many. Please send your entry to SunversusSnow at yahoo dot com. You should receive a confirmation email. If you do not, please contact me on twitter before resending. Please note that your second submission will likely NOT receive confirmation. That does not mean it wasn't received. Just that our vacation notification only works once. Chill. If we got your first, we got the second. Remember: We want to get a good count of entries and duplicates make that harder. The window will stay open at least one hour in order to avoid the crush of entries and flooding me with requests to check for entries. That should cover about everything, but you may leave questions in the comments or on twitter. Please no DMs or emails. Don't forget the #PBParty hashtag. We can't wait to see all the cuteness on March 27th! 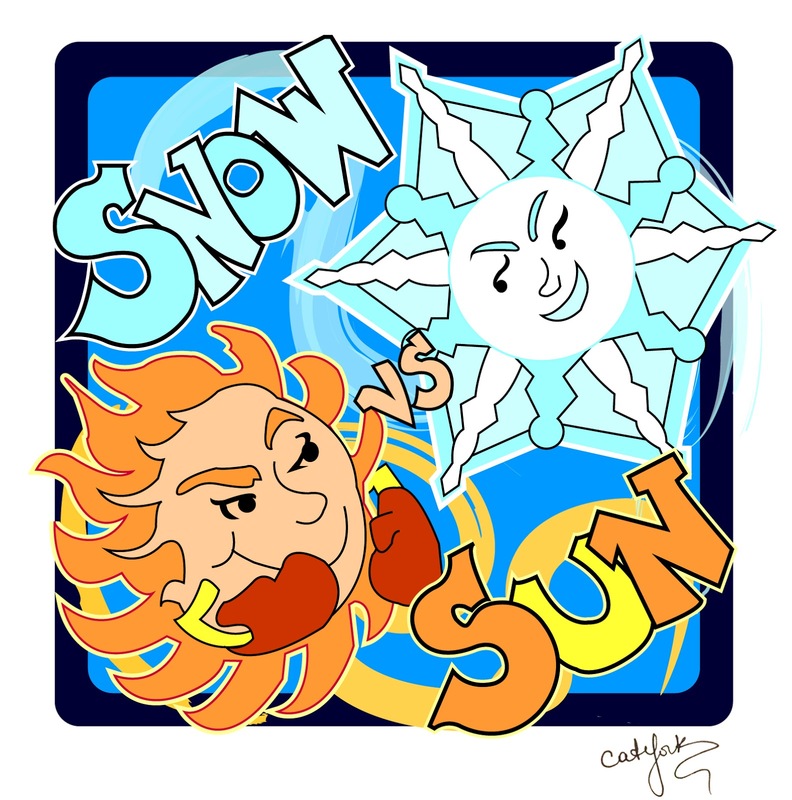 WELCOME to the fifth Sun versus Snow agent round! Yep, Amy and I have been holding this contest for five years now. Allow me to think about how far we've come and how many success stories have come out of these contests. Maybe people have gone from writers to published authors in those five years, including myself and Amy. Much has changed. But much stays the same. Today, when we're expecting a foot of snow, can you say omen!, is the day our amazing agents can begin reading the entries and making requests. Not only will they see the 16 amazing entries here, but they can also make requests for Team Sun over at Amy Trueblood's blog! As the agents move through the entries, please remember that contests are subjective. Our agents have a definitive idea of what they would like for their list. If they do not request, it DOES NOT mean the entry was not worthy. No matter what happens, you’ve got to keep querying and NEVER GIVE UP! There is no commenting in this round except for agents. Sorry, but no cheerleading as this may lead to an unconscious bias. We are happy to see and retweet your thoughts and cheers over on Twitter under the #sunvssnow tag! That’s the place to hang out and have fun! I hope to see my Team Snow members present with their snow hats and mittens! We have a blizzard of amazing entries that are going to completely obscure Team Sun! Watch both my and Amy’s Twitter feed as we will be tweeting when an agent makes an appearance! Agents will consider entries at both the blogs regardless of whether they are Sun or Snow fans. Amy and I are hoping the agents go crazy with the requests! There is amazing talent on both our teams! Good luck to all! And get out your snowballs and thermals because Team Snow is taking no prisoners! Everyone's journey is different. I hope this one that started with Query Kombat 2016 will provide you with a dose of inspiration on a dark winter day. In February 2016, I watched a television show called My Strange Inheritance, where a man inherited letters between his deceased uncle’s mother and JFK. After her son, a navy seaman under JFK’s command during WWII, died during the attack on their PT boat, then Lieutenant John Kennedy wrote a letter of condolences. The woman wrote back and the two corresponded even after JFK became President of the United States. JFK helped the woman receive her Social Security payments at one point. I thought this would make a great novel, but I wrote middle grade fiction so I needed to alter the concept. It inspired me to write it from the prospective of a child whose father died in the war. The first draft was finished in two weeks and then I revised it to what I thought was query ready (boy was I wrong). In May 2016, I entered my manuscript into Query Kombat and was thrilled when my manuscript appeared as a selected entry into the contest on May 26, 2016. I was on Laura’s team. In the first round, my query and first 250 words was pitted against an entry that dripped with voice. I lost the first round in a landslide. That was the end. So I thought. A few days later, while out to lunch during my day job, I received an email from Laura asking if I would like to be a host save because one of her entries received an offer. I jumped at the chance. It meant I would be included in the agent round, but I would not be competing in any further rounds. The benefit of being the host save is that the agent requests would be available for me to see and respond to while the other rounds were still ongoing. I was blown away to receive 11 requests from Query Kombat, one of the requests being from Caitlen from LKG. That was it. I would surely get at least one agent offer from one of the 11 requests. So I thought. I was so wrong. Over time, my requests came back as rejections. I entered my manuscript into Pitch Wars 2016, and was not picked, but two great things came out of it. First, one of the mentors, I knew from a Facebook group, agreed to be an unofficial mentor to me. Secondly, the mentor and her partner suggested that two other writers and I explore becoming critique partners. The three of us connected by email and hit it off. I was so lucky to gain two critique partners who wrote such beautiful prose; especially since my writing was more like cave drawings than their poetry. After working with the Pitch Wars mentor and my critique partners, I was ready to query again. I received a fair amount of full requests from agents, but they all passed. One agent who passed took the time to give me valuable feedback. I revised again, taking my manuscript from 34,000 words to over 50,000 words, adding prose chapters to my epistolary novel. I was ready to query again. Still I received more full requests, which ended in rejections but I did receive an R&R from an agent. I revised again and sent it back. She liked the changes but I missed the mark so she gave me further feedback, which led me to revise yet again. On October 31, 2017, I decided to query Lauren Galit from LKG Agency. Even though Caitlen from LKG Agency requested and passed on my manuscript from Query Kombat, I reasoned it was practically a completely different manuscript (which it was) and there was nothing saying they were a one and done agency—that you cannot query another agent from the same agency after a pass. I watched the data explorer on Query Tracker for Lauren and noticed that she responded quickly when she requested more of a manuscript. A few queries that were sent after mine received full requests after just one day while the date of my query slipped further and further away. That was it; it had to be a pass. So I thought. On November 29, 2017, Lauren requested the full manuscript, which I sent the same day. On December 14, 2017, I received an email from Lauren requesting a telephone call. I was thrilled. After all this time, this was it. So I thought. On December 15, 2017, after a night with almost no sleep due to nerves, I took a call from Lauren. She said Caitlyn remembered my manuscript from when I submitted it during Query Kombat and noticed how much different it was. Lauren was such a pleasant person and had such great things to say about my manuscript but also pointed out its flaws. I agreed with all the changes that Lauren suggested. Her comments and advice were well thought out and resonated with me, so when she asked for an R&R for one chapter to see how I handled the revision, I jumped on the opportunity, hoping the R&R was not a slow no. I worked over the weekend revising two chapters and writing a completely new scene that Lauren suggested. On December 18, 2017, I sent the revision to Lauren. On December 20, 2017, Lauren sent a second email saying she liked the revision and wanted to set up another call. This was it; it had to be an offer, right? Or so I thought. This time my thought was correct, because on December 21, 2017, I took my second call from Lauren and it was an offer of representation. Since it was close to the holidays, Lauren gave me two weeks to hear back from the three agents that still had my manuscript. On January 2, 2018, I emailed Lauren and accepted her offer. 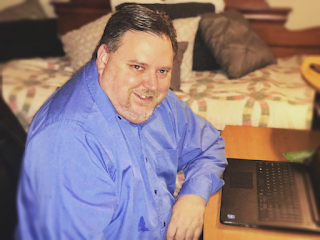 It was a long, slow journey, in which I tried to give up on my manuscript several times, but due to encouragement from my critique partners and constructive feedback from rejecting agents at just the right time, I did not give up and have a terrific agent as a result. I could not have done it without Laura, Michelle, and Michael from Query Kombat who started the journey with me and for all the help from friends along the way. Rick Wheeler lives in Northern California in a multigenerational household. When he is not writing middle grade fiction, he works with at risk youth as a Deputy Probation Officer. He enjoys listening to classic rock, hanging out with his dog, and having tea parties with his granddaughters, not necessarily in that order.